Android is now the most popular operating system in the world. Various manufacturers widely accept it as it is free of cost; it is offered as an open source by Google. The manufacturers can customize it as per their requirements. The Android market has also given opportunities to millions of developers to develop new applications for android phones. This enables users to customize their phones as per their personal and business needs. Hackers, therefore find Android as a potential target to develop malicious applications to infect the users’ devices. Consequently, it is critical to have good antivirus software for Android installed on your smart-devices. In this article, we will be discussing the Best Android antivirus app of 2019. Comodo has been the security giant in the IT security market since the late 1990s. It has revolutionized security solutions by combining various techniques to offer Comodo Mobile Security. The security app denies the entry and interference of malicious files and apps. It provides comprehensive and smart features such as antivirus, call blocking, Anti-theft, software manager, backup, traffic monitoring along with other benefits. It is developed to protect Android devices from unsafe apps, viruses, and other malicious threats. It restricts suspicious calls, denies ransomware attacks, terminates banking Trojans from accessing data from Android device. 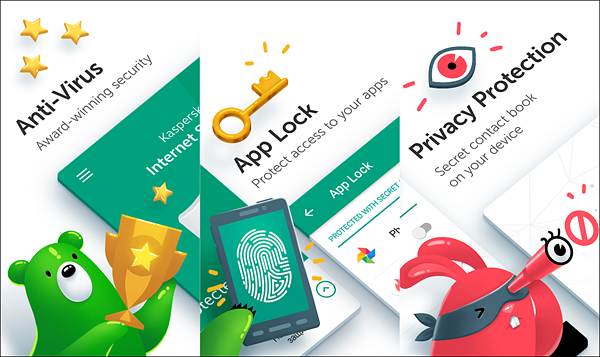 Avast Mobile Security is power-packed with excellent features like remote wipe, app lock, call blocking, anti-theft, and firewall. It just does not offer a mundane scanner; it works beyond that. It provides a free version as well as a paid version. The free version comes supported by ads; however, with paid versions, the annoying ads can be avoided. The paid version offers a new feature called the in-app locking features which enables the user to lock the sensitive financial apps with PINs. Kaspersky is known to be the trusted band of all times. It assures the top-notch security solution to its users by thoroughly sniffing out the malware from the device. It offers a both free and paid version of mobile security apps. There are some additional features like anti-phishing, automatic scan and text filtering available exclusively for users with the paid version. It has some good robust features and proved a 99.9% detection rate during the AV-Test trials in November 2017. Bitdefender has been one among the big players in the security industry. It offers a lightweight security solution with less effect on the Android OS. It provides a free antivirus solution for Android OS. With Bitdefender mobile security, you must schedule scans, and it doesn’t offer to run in the background. The new apps are instantly scanned once downloaded. It includes antivirus, anti-theft features and real-time security solutions for Chrome browser. McAfee is a reputed security service provider in the online security space. It offers robust mobile security solutions with anti-theft features, antivirus, app lock and much more. It helps to track lost devices with remote wipe, and app lock features that lock the device and wipes off the data from remote. It offers free and premium versions of mobile security. Ads support the free version while the paid version comes with extra added security benefits to battle against Android-based malware threats. There are a variety of Android Antivirus apps for Android devices available under the sun. However, each security product comes with different features. Know your security requirements and choose a product that best suits to deliver the right kind of security solution for your Android devices.